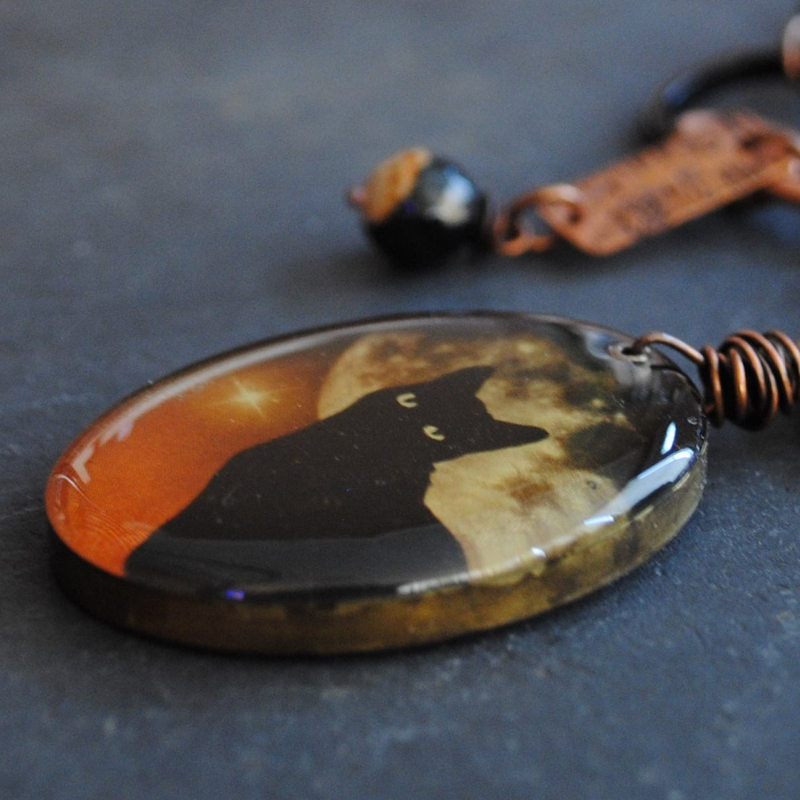 Featuring a brass bezel with a black cat image embedded in resin. 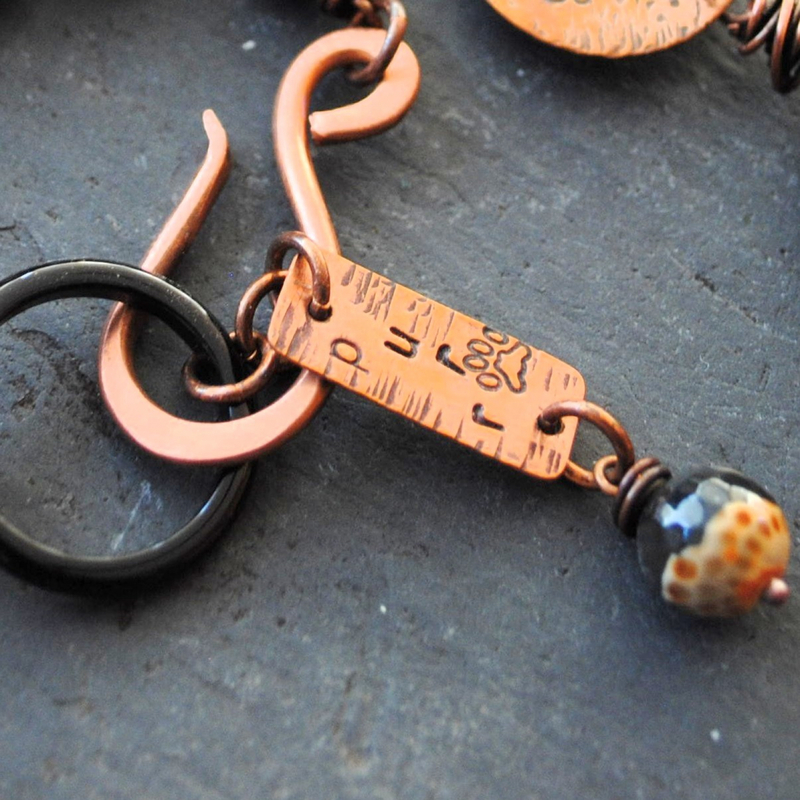 A copper stamped charm with MEOW, paw prints, and scratches is wire wrapped to the bezel. 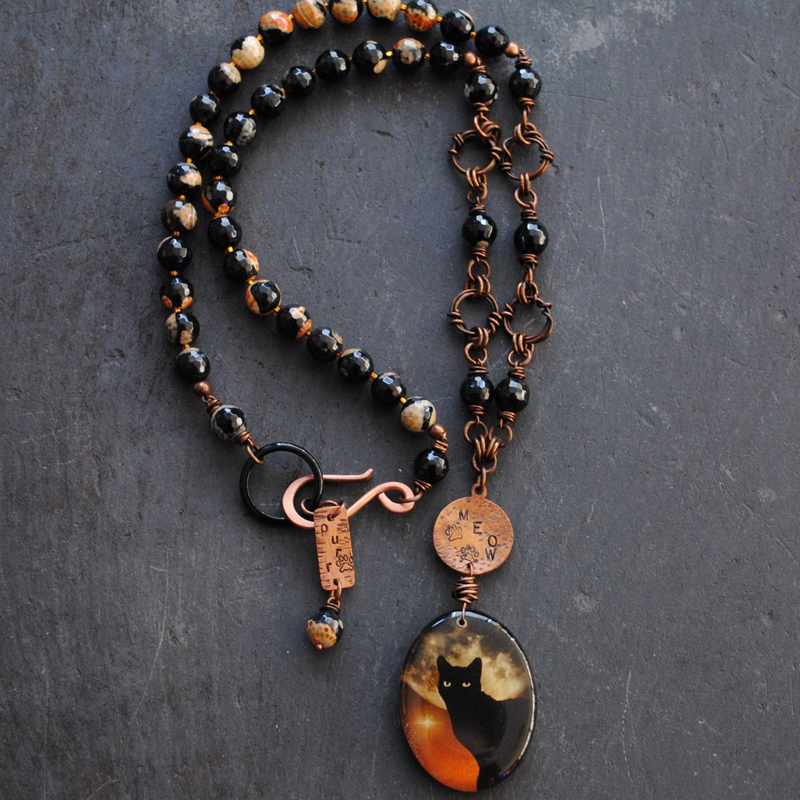 Oxidized copper links that are made to look like knotted twine are connected with fire agate beads that also complete the necklace around the neck. 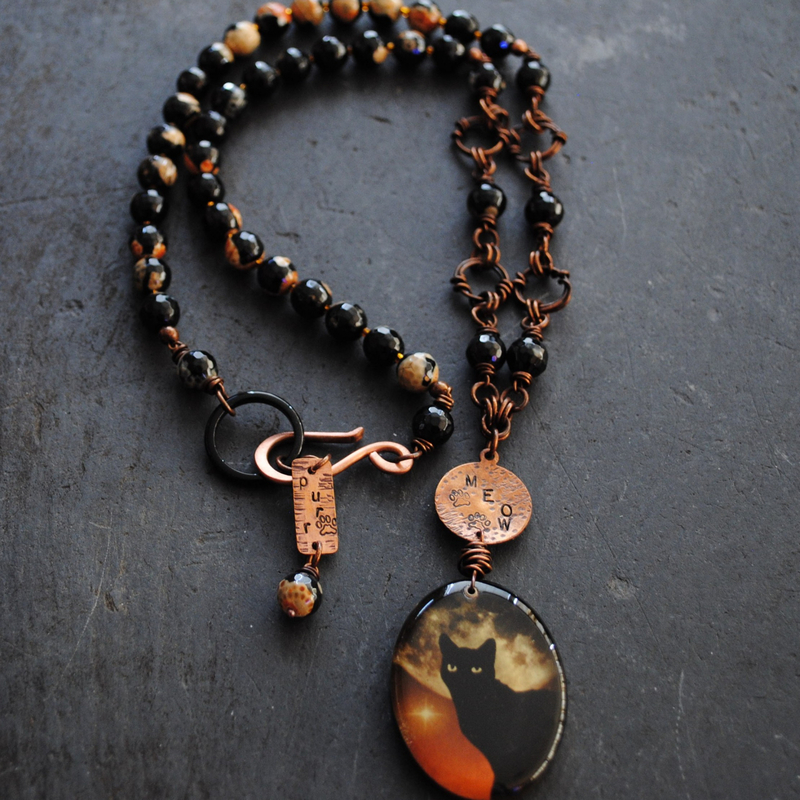 The faceted black and orange fire agate beads like the color of a calico cat are super shiny! The necklace is finished with a black agate ring and hook clasp with a stamped PURR charm. Resin is an unpredictable medium and it is not perfect. The bezel has small air holes. This does not effect the image and but only enhances the rustic handmade quality of the piece. Visit my Flickr photo to see how your item will be packaged for shipment.